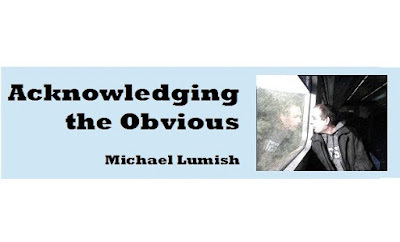 This lethal journalism -- as American historian from Boston University, Richard Landes, calls it --will result in international blowback toward Israel and toward Jewish people around the world, and that is the Gazan Wave. But this is nothing new and let us just hope that the coming flood is not among the worst. Hamas understood that Western news outlets wanted a simple story about villains and victims and would stick to that script, whether because of ideological sympathy, coercion or ignorance. The press could be trusted to present dead human beings not as victims of the terrorist group that controls their lives, or of a tragic confluence of events, but of an unwarranted Israeli slaughter. The willingness of reporters to cooperate with that script gave Hamas the incentive to keep using it. Which is to say, yet again the mainstream media outlets are slanting the story, much to my ongoing astonishment, in Hamas' favor. Let us not forget that Hamas is the very same organization that calls for the genocide of the Jews in its charter through this venerable hadith. The Day of Judgement will not come about until Moslems fight the Jews (killing the Jews), when the Jew will hide behind stones and trees. The stones and trees will say O Moslems, O Abdulla, there is a Jew behind me, come and kill him. Only the Gharkad tree, (evidently a certain kind of tree) would not do that because it is one of the trees of the Jews." Whatever the heinous gibberish above may mean to contemporary jihadis, we must make Westerners understand that the Gazan Arabs who sought to murder Jews over the last several weeks were not "demonstrators." They were not "protestors." And they were certainly not unarmed. These were not college students sleeping in Lincoln Park in Chicago, 1968, in opposition to the war in Vietnam during the Democratic National Convention. 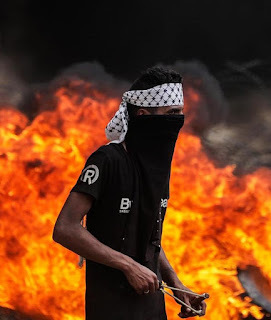 Many of these violent rioters were actually paid by Hamas according to the extent of their injuries and the families of the martyrs received thousands of dollars. They carried knives, hand-axes, meat cleavers, guns, children, and Molotov cocktails. They also flew kites with Nazi swastikas attached to incendiary devices for the purpose of burning fields and crops and houses, if not people. Hamas even provided instructions on where the weak points of the barrier are, where the nearest Jewish villages are in reference to those weak points, and how to carry out the murder and kidnappings of Jewish civilians. So, yes, the IDF was very restrained given the fact that these were people coming to kill their friends and families. But how would China react under similar circumstances, if crazed enemies were coming to kill Chinese babies? How would Russians react? I will tell you one thing, if Texans saw 50,000 Mexicans on the border of Laredo with guns and machetes and Molotov cocktails, shooting at the cops, and thousands of burning tires darkening the skies as they were screaming for the blood of American children... they would have shot them down like dogs. There would not have been 60 dead. There would have been at least 600 dead, if not many more. Nonetheless, Hamas wanted dead Arabs to parade before anti-Zionist cameras for the purpose of delegitimizing Israel and stoking hatred toward Jews and they got those dead Arabs, including children, and their families were paid for this atrocity. Nonetheless, this is causing well-meaning people throughout the world to honestly believe that Israel assaulted unarmed Arab men, women, and children. And why should they not believe it after so many decades of mainstream media suggestion of Jewish persecution of the "indigenous" Arabs and centuries of blood-libels and hate? It just fits so neatly into the "Palestinian narrative" of unending victimhood, even as they ruin their own societies, sacrifice their own children on an Aztec altar of blood, and seek the genocide of my brothers and sisters. But what is truly joyous at this moment, aside from the swirling chaos, is the fact that these insidious media outlets did their very best to ruin what should have been a beautiful moment. After 2,000 years of diaspora, a major world power, the United States, finally recognized Yerushalayim as the capital city of the Jewish people. That, as my friend Avi Abelow would say, is truly a miracle. Nonetheless, Israel is, yet again, subject to a rising wave of world hatred stoked by the media who almost always describe Jewish self-defense as a form of aggression. But the Gazan waves of hatred wash across all Jews who care about Israel, wherever we live in the world. It even splashes onto the beaches of northern California.